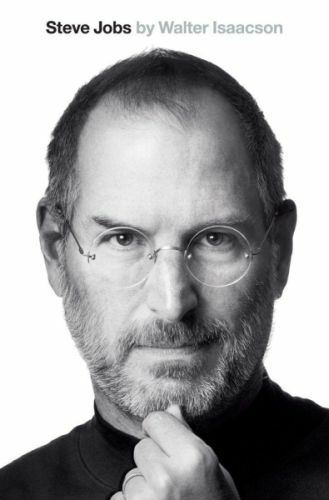 Very aptly, Walter Isaacson has been able to depict the lives and times of the celebrated genius, Steve Jobs. The book talks about the emergence of Silicon Valley and the contemporary tech aficionados as well. It begins with his rebellion attitude towards life and his contemptuousness towards his biological parents who left him for adoption. Right from Steve’s first job at Atari, perfectionism could be seen as one of his major character trait. One probable reason could be his father’s influence who was very particular even about the look of the parts that one cannot see otherwise. His father was passionate about vehicles and the electronic circuits within. Accordingly, his garage became Steve’s first school and his father became his first mentor, where he’d spend most of his earlier times. His father was very supportive throughout, he had hardly scolded his son except on two occasions, first being his addiction to marijuana during his teens and second the way he handled his girlfriend’s pregnancy, when he was 23. The book gives view of times when the world of gadgets was only to be seen in Star Wars. Laptops, desktops and windows were slowly making way into the lives of humanity. Today it’s difficult even to realize such a scenario but Isaacson made it possible to make reader see them as the then metaphors. Chronologically, the writer takes us to the journey of Apple innovations right from its inception. The book also envelops Job’s equally wonderful and aesthetic creations of NeXT and Pixar. Along with eulogization, the book also surfaces his weirdness like not taking regular showers, walking barefoot most of the time within and outside office, temper tantrums, fruitarian diet, steeling credit for ideas, how he abandoned his daughter, his love affairs etc. It also presents the extraordinary perspective on the lives of equally important individuals that have crossed Steve’s life like John Sculley, Clinton, Obama, Disney’s Katzenberg, Eisner and Iger. Accounts of Bono, singers Joan Baez and Bob Dylan. Yoko Ono, Steve Wozniak, Oracle’s Larry Ellison, Google’s Schmidt and Larry Page, Intel’s Grove and likewise.